Player, engineer, editor…Holger Czukay excelled in all of these disciplines at a very exalted level. He had a massive influence on modern music and inspired countless would-be imitators, including this writer. ’86 and ’87 were hella busy years, and I’m going to need to backpedal a few times ere the full story be told. 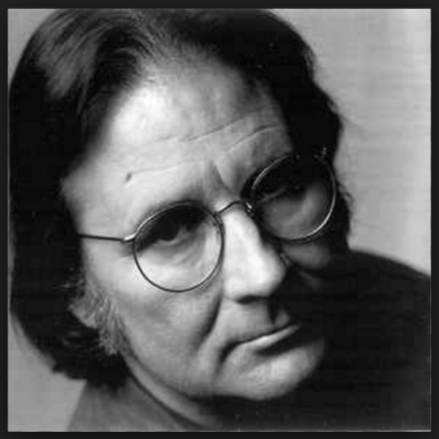 Let’s return to the summer of ’86, when Irmin Schmidt flew me out to Zurich to help mix his album Musk at Dusk. Can. Was there ever a more perfect band? Supremely intelligent, endlessly grooving, infinitely spacious…for me they ticked all the boxes. All of their pre-Virgin albums are masterpieces, but my personal fave is Soon Over Babaluma, 40 minutes of effortless and timeless beauty, made by the core 4-piece of Irmin Schmidt, Holger Czukay, Jaki Liebezeit and the late great Michael Karoli. On this album Karoli takes lead vocals, except for one revelatory track, Come Sta, La Luna, which is voiced by Irmin. Imagine Albert Einstein floating in an orbiting recording studio, doing bong hits and working the mic; that’s what this amazing song sounds like. Irmin was looking for a fresh pair of ears for the mix of his new album, and of course it was our ubiquitous mate Jah Wobble who put me onto Irmin’s wife Hildegaard, who is basically the boss of Can. So it was with enormous excitement that I journeyed down to their home in the South of France to meet up with them. I felt like a complete idiot next to Irmin but he seemed to like me well enough, and not too long after I found myself in a gorgeous studio in Zurich, marking up Jaki Liebezeit’s drum kit on the SSL with my chinagraph pencil, and slapping myself across the face periodically, lest it all turn out to be a dream. If any Can fanatics out there have yet to check out Musk at Dusk I would urge you to do so, because all of the core members are represented on this album, and all of them together on the completely Can-like The Child in History, which unfortunately I couldn’t find on YouTube. However this track, Love, has the Dizzy Dizzy snare sound that puts my head in a different place every time I hear it.